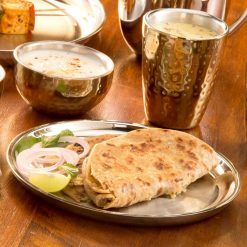 Designer Double Walled Stainless Steel Dinner wall plates Sanjeev Kapoor offers practical and beautiful plate for your home. Sanjeev Kapoor plate is a must have for any home. Our collection is an excellent demonstration of the beautification of plates. 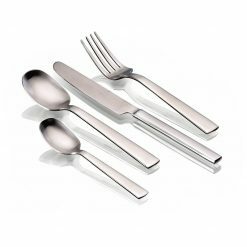 Make meals an elegant affair with well-designed, 100% food grade stainless steel plate. 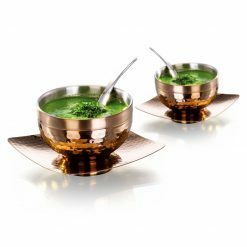 This dazzling premium rose gold plated soup bowl set from chef Sanjeev Kapoor’s Stainless Steel Tableware Products line will add style to your dinnerware collection! 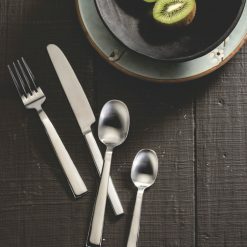 This amazing kitchenware is crafted in food grade stainless steel material and has a beautiful metal hammered design which gives it a nice Indian traditional appeal. 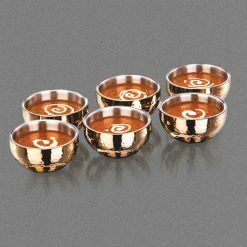 It is a trendy double walled semi-spherical dinnerware which has a premium stainless steel coating on the inside and a remarkable rose gold finish on the outside. 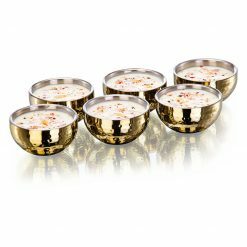 It’s an impressive 6 Pcs embossed soup bowl set that will definitely charm your beloved guests. Also, its durable metal make guarantees its relation with you for a lifetime. 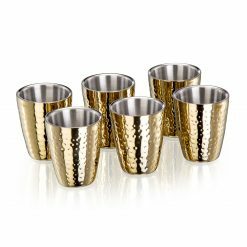 Sanjeev Kapoor offers practical and beautiful tumbler for your kitchen. Sanjeev Kapoor tumbler is a must have for any kitchen. 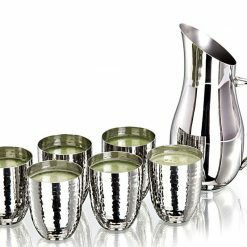 Our collection is an excellent demonstration of the beautification of tumbler. Make meals an elegant affair with well-designed, 100% food grade stainless steel tumbler. 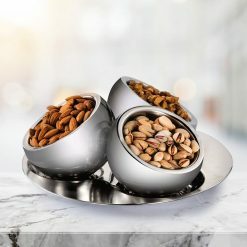 Sanjeev Kapoor offers practical and beautiful tumbler for your kitchen. Sanjeev Kapoor tumbler is a must have for any kitchen. Our collection is an excellent demonstration of the beautification of tumbler. 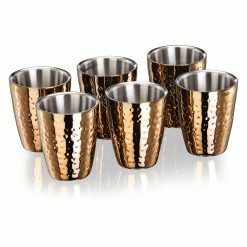 Make meals an elegant affair with well-designed, Rose Gold Titanium steel tumbler. This brilliant ergonomically designed Pitcher and Tumbler Set from chef Sanjeev Kapoor’s Stainless Steel Tableware Products line will add style to your flatware collection, For decades, Sanjeev Kapoor has entertained and educated us on ‘how to cook’ and now he has forayed into the house-ware product market that offers consumers with versatile choices which are sure to enhance their lifestyle quotient.Stylishly curvy pitcher and metal hammered tumblers are the main highlights of this quirky silverware which are designed to fit in a contemporary setting.This splendid dinnerware is made at par with the global standards to maintain quality and aesthetic appeal, and hence is crafted in food grade stainless steel material which is safe for usage.It’s a marvelous 7 Pcs set that has a dazzling silver mirror finish which will leave your beloved guests in admiration! 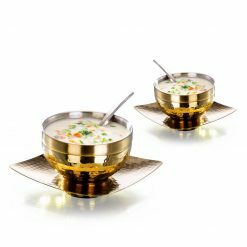 Sanjeev Kapoor offers practical and beautiful plate for your home. Sanjeev Kapoor plate is a must have for any home. Our collection is an excellent demonstration of the beautification of plates. 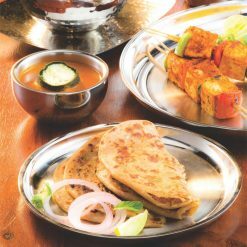 Make meals an elegant affair with well-designed, 100% food grade stainless steel plate.